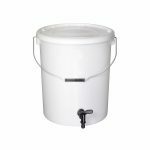 Looking for a quality beer brewing bucket? Our smaller 10 litre plastic fermenting bucket is perfect for the first time buyer looking for quality. 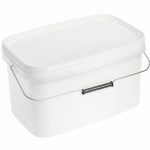 This brewer’s bucket is manufactured in the UK from high-quality polypropylene. 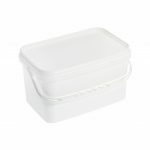 It comes with a snap shut lid to keep contaminants out and your favourite beer or wine in. 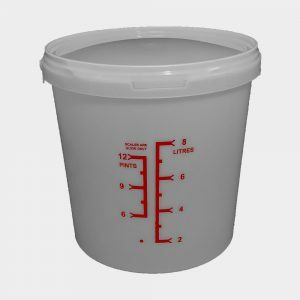 These buckets feature a graduated measure, plastic handle and flat base – all designed to make measuring, pouring and storing as easy as possible for amateur brewers. 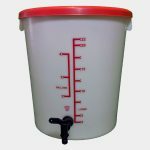 This brew bucket is cheap, strong and easy to clean – perfect for hobby brewing! Whether you’re just starting out or you’re an experienced brewer looking for a bucket that won’t let you down, this is sure to meet your needs. The graduation is for guide only.